A full range of professional and personal seals are available. 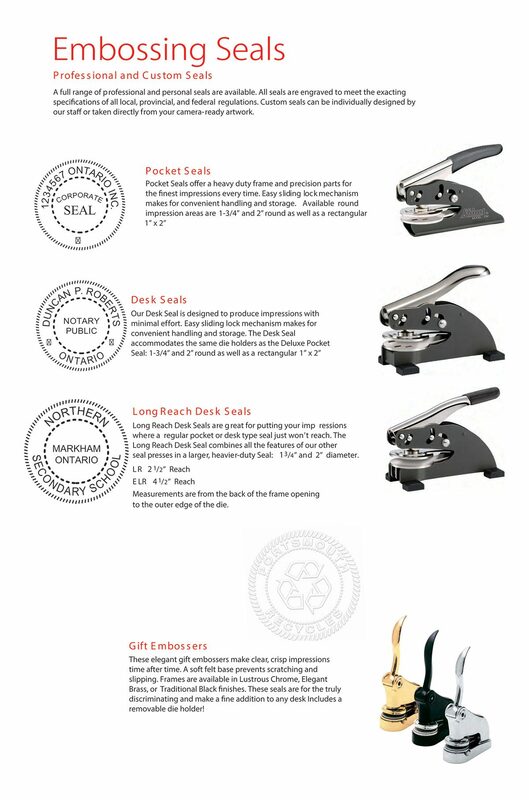 All seals are engraved to meet the exacting specifications of all local, provincial, and federal regulations. Custom seals can be individually designed by our staff or taken directly from your camera-ready artwork.